As Cardiff embark on their Premier League campaign, full-back Lee Peltier sat down with View From The Ninian’s Paul Gronow to reflect on the upcoming season and preparing for the big time. Hi Lee. How was your summer? How long did you have off and where did you go? The summer was lovely. We obviously had a slightly longer break this year as we avoided the play-offs, so we were given around seven to eight weeks to get away, chill, celebrate and above all, spend time with the family. I spent quite a lot of time abroad with the family just enjoying some hard-earned rest. We tend to play all over the Christmas period, so it was just really nice to spend time with my two young kids and relax after a long, hard season. How have you found pre-season so far? You had a few niggling injuries last season, are those behind you now? Yes, I had a few niggly injuries at the back-end of last season that carried on into the break, but now I’ve had a good rest. I’ve come back feeling fresh and really looking forward to it. Although it’s nice to rest and switch off for a while, you’ve got to keep yourself in shape these days and you can’t come back to pre-season carrying extra weight or having lost a significant amount of fitness as it won’t go down too well with the gaffer and staff. You’re at a disadvantage going into pre-season training. How does it feel to be a Premier League player? Has it sunk in yet? It’s still all a bit strange to be honest and it may not actually sink in until we step onto the pitch for the first game of the season against Bournemouth. Given how hard we worked last season, we deserve to call ourselves Premier League players now, so we are going into with an open mind. On that point Lee, given that you all did so well last season and have earned promotion, does it bother you as players when accusations are made of the team being one-dimensional bully boys and playing an out-dated style of football? Honestly no, not at all. As long as we’re getting the results we need then it doesn’t matter. The last time I checked football was a results business and everyone wants to win games, so for us it doesn’t matter HOW you win, it’s just a matter of winning the game at all costs. Yes, we received a lot of criticism last season, but at the end of the day, we are now playing Premier League football and a lot of those critics aren’t, so that speaks volumes as far as I’m concerned. Yes, we have a certain way of playing, but I still think it’s entertaining and I think the stats show we had one of the highest number of shots and plays into the opposition box. So for us, we take very little risks in our own half, but once we get into the opposition half, that’s when we start playing and using our advantages on set pieces for example. Let’s be honest, those tactics paid off so it clearly works. You were signed by Russell Slade and were probably his best signing. How did he sell you the club and what were your first impressions when you arrived? At the time, I was at Huddersfield and although I had only just signed for them. The previous summer I had an injury which meant I’d barely played any games, so when my agent called and told me Cardiff City were interested, I jumped at the chance and I’ve enjoyed every single minute of my time here. What was it like playing for Russell? Well every manager has their own particular style and way of playing. I’m sure you could see the different style of play that each manager has had and as players, you just follow the manager’s instructions if you want to play. Russell favoured a solid 4-4-1-1 formation which meant we were tight at the back, whereas Trolls preferred a 3-5-2 formation in the Wales mould. Each manager has their own style of man management. There’s no point in tearing a player down if it’s likely to damage their confidence and both Russell and Paul had different ways of managing the squad. The gaffer (Neil Warnock) will makes sure no one feels left out, even the boys on the edge of the squad are made to feel included because the last thing you want is for rifts to develop, so it’s very important every player is managed individually. When Neil Warnock took over, Cardiff were in a pretty bad way, on and off the pitch, but he seemed to turn things around almost instantly. What happened when he arrived and what did he say to you all? The gaffer will make it very clear. It’s all in black and white, exactly what he wants each player to do and if you don’t do it, you’ll know about it! However, if you do follow his instructions then you’ll be alright and don’t forget, the players respect him and his staff hugely given his record as a manager. So the gaffer knows exactly what he wants from his teams and it works very, very well. The team will go on the pitch and give their absolute all for him and in return he does the same for his squad. You previously worked with Neil before at Leeds, so did you know what to expect, or have things been different this time round? He has certainly fared better at Cardiff. Yes, I worked with the gaffer for over a year at Leeds, so I knew what to expect when he came in and he obviously gets the best out of his players which is all you can ask for really. His CV and record mean that as soon as he walks into the dressing room, everyone listens to what he has to say and takes on board the vision he has for the squad. The backroom staff are MASSIVELY important. The gaffer makes it absolutely clear that they come as a team and without them behind him, he wouldn’t have achieved what he has in the game. They play a huge role in making sure we are all on the same page. Everyone at the club is together from the catering staff to the owner. Things have been on an upward trajectory ever since Neil took charge. What did he say to you last season with regards to your chances of promotion? We all went to the gaffers for some food in pre-season and he said to us then that the last time they did that as staff, they got promoted. He said ‘I believe without any doubt that if this team does what I tell it to, then we can do exactly the same,’ and obviously he was right! That barbeque must be his lucky charm or something! You’ve played for a few clubs in your career. What is a Warnock dressing room like and how does it compare to your experiences at other clubs? Well the first thing that stands out is the amount of leaders he has in his dressing room. There is an abundance of leaders in the squad and everyone is on the same page. As with every side, there are disagreements on occasions, but in general, every single player gets along well to the point where we not only train together, but will also socialise together as families. If someone challenges someone, then they will take it on board and try to work it out as a team. It really is a great dressing room. You’ve got the likes of Sol, Mozza, Gunnar and Brian Murphy who all have a vast amount of experience. It’s really important that you have people like that in the dressing room, people that can lead a dressing room without the staff having to get too involved. Everyone has a certain part to play in our team and everyone respects each other and gets along well. Team spirit is clearly massively important in a team’s success, what about the new signings? Have they settled in well? They’ve settled in really well. The gaffer will spend a lot of time choosing players that fit into that culture. A lot of research goes into their personality and attitude. While someone can have masses of ability, they can also have a terrible attitude and it can cause big problems in the changing room. The gaffer definitely works hard on the type of player he brings in and you can see that generally it’s worked out really well. Would it be fair to say that team bond covers both on AND off the pitch then? Yes definitely, it’s a very strong group including the wives and girlfriends and it feels like a little family that the gaffer has created at the club. We will go out for meals together with our wives and spend time together away from the club, which isn’t always the case at every football club. How did it feel when you finally secured promotion? Was it relief, emotional, exciting? It is almost impossible to put into words. It was an absolutely unbelievable day and it will be a day that the boys will never forget in their entire lives. It’s like you’re writing your own little bit of history, especially when no one has given you a chance in terms of you getting promotion. So many people wrote us off. They didn’t give us a chance and we proved every single one of them wrong. It just makes the whole thing even sweeter. Given that only just a few weeks before promotion, Cardiff had lost that crazy game to Wolves, how did you all manage to recover again and face the promotion run-in? Well this is where the team spirit comes in. Everyone rallied around, especially Ronnie Jepson and Kevin Blackwell. They kept on reminding us that we will be fine and it turned out alright! We are aware that it means so much to so many fans and it’s definitely the biggest thing I’ve achieved in my career. Given you’d been so near so many times but never quite made it, did you ever think the Premier League may not happen for you? Honestly, I always thought I could make it. We always took it one game at a time, that was definitely our mentality. Not once did we ever say we’re up this season and we went all the way. What has Neil said to you all with regards to making the step up to the Premier League? Whilst he often reminds us that we deserve to be in the Premier League and we’ve earned the right to be there, he obviously knows that we need to increase our fitness levels to compete. Overall, he has told us to go out there and enjoy the moment and that’s what we want the fans to do. It’s a once in a lifetime opportunity and it means everything to us. Thanks again to the fans, we really appreciate all of your support and we’re going to do all we can to make you proud again this season. 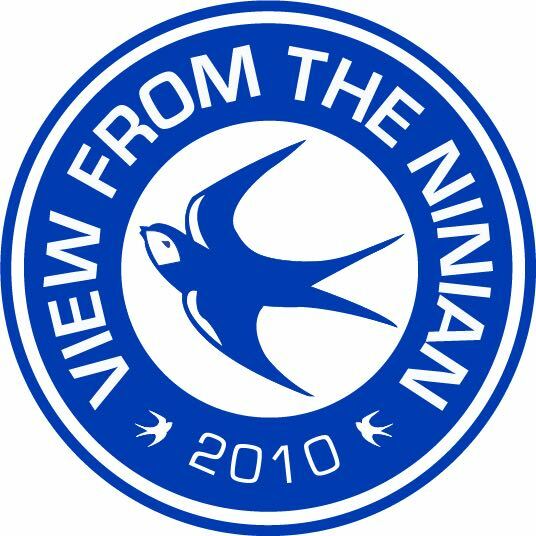 View From The Ninian would like to thank Cardiff City FC and in particular Mark Denham for the opportunity to interview Lee and Lee for being such a wonderful player to interview!